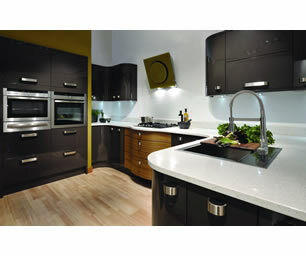 Made to Measure Sizes – All of our kitchens are made to order and therefore if you require reduced depth cabinets, special configurations or need cabinets built to run across pipe chases projections they can easily be built to suit. 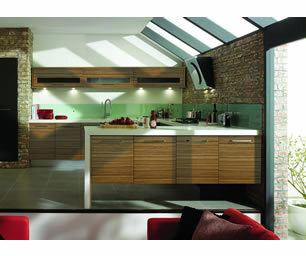 We have a wide range of doors that can be made to measure including solid wood doors, painted solid wood doors, foil doors, and solid acrylic Parapan® doors. 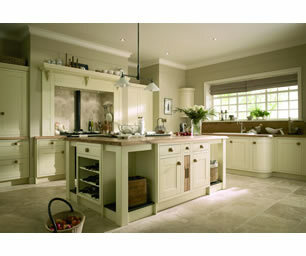 The finish and the longevity of a kitchen begin with the cabinet. 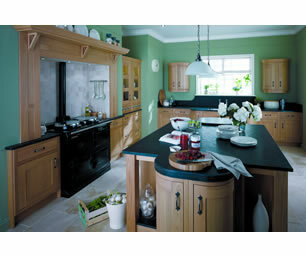 All of our kitchen cabinets including wall units are of glue and dowell construction, they have full height solid 18mm backs, sides and bottoms. 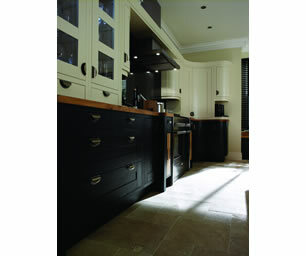 The cabinets also have extra wide support rails on the top section producing an extremely strong backbone to your kitchen. 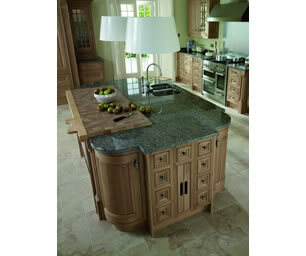 This also makes them ideal for supporting granite and other solid worktops should this be necessary. 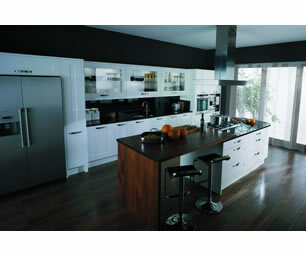 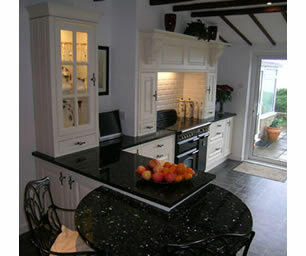 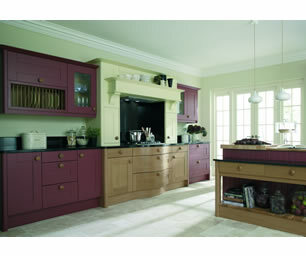 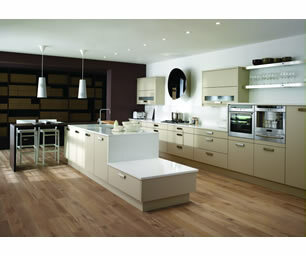 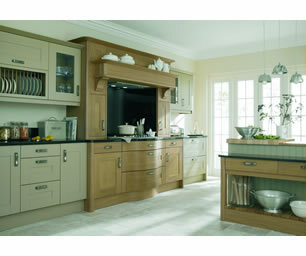 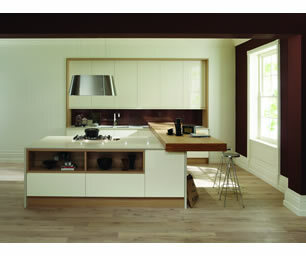 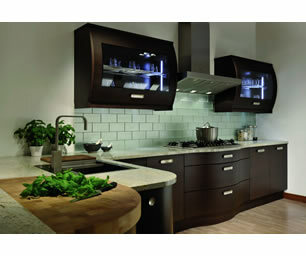 All of our kitchen cabinets are made with 18mm furniture grade board and are colour coordinated to your choice of door. 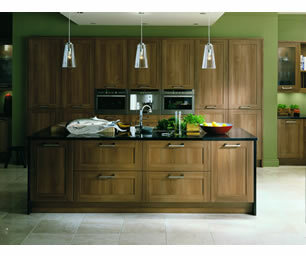 So if you choose a walnut door for example, this same grain will continue on both the outside and inside of the cabinet. 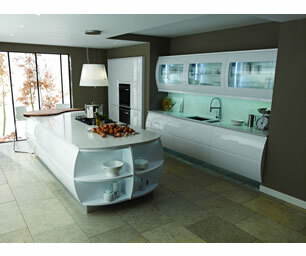 Alternatively if you want a very intresting contrasting design you can chose from our extensive range of furniture board options creating something very unique.